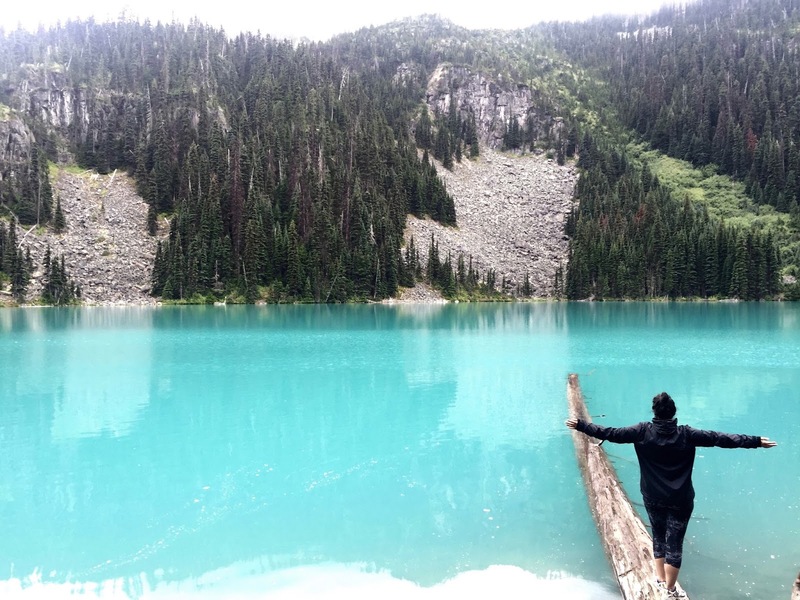 Joffre Lake is one of the most beautiful hikes in British Columbia and it is quite accessible as well. 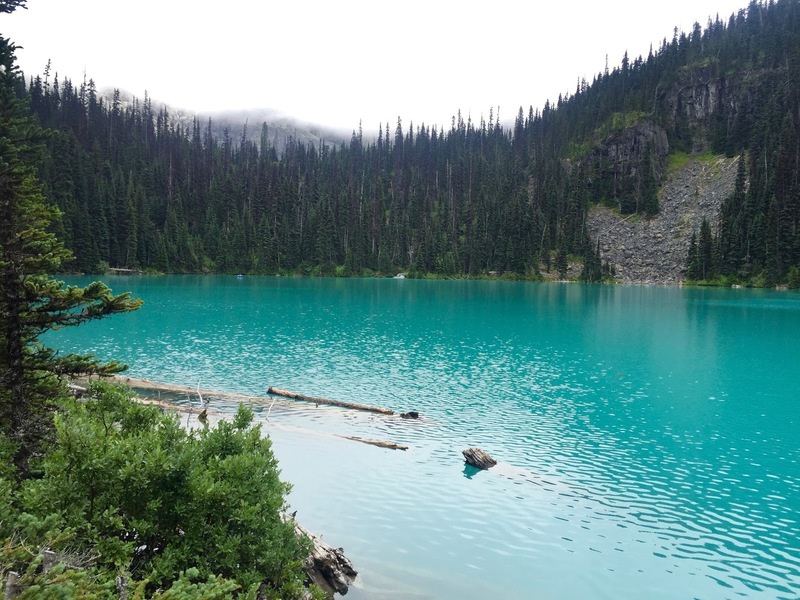 The hike consists of 3 beautiful turquoise lakes: lower lake, middle lake and upper lake. There is a camping ground at upper lake which is also a great viewpoint of Matier Glacier. We would recommend doing this hike on a weekday if possible. As of lately this hike has become really popular so on the weekends it is packed. Get there early - the parking lot is quite small and gets packed real quick! On weekends there are cars lined up all along the highway with people having to walk to the park. There are couple of toilets at the bottom where the parking lot is. There are no washrooms at Middle Lake. There are more toilets up at Upper Lake. Bring your own toilet paper! So let's begin with a confession: I have not done much hiking in my life before BUT it is something I have always wanted to incorporate into my lifestyle. We are so lucky to live in beautiful British Columbia, Canada - surrounded by beautiful nature. The reason hiking hasn't been a significant part of my life is because of my health. But before that in my younger highs chool years I did manage to do that Grouse Grind a few times. If you are from British Columbia or Metro Vancouver, or a tourist that visits you have heard of the Grouse Grind - it is known as the stair master from hell - one of the most difficult hikes here. So back to Joffre lake. Given my snowboarding mishap which led to a horrible back injury and concussion let's just say my mobility has been limited. 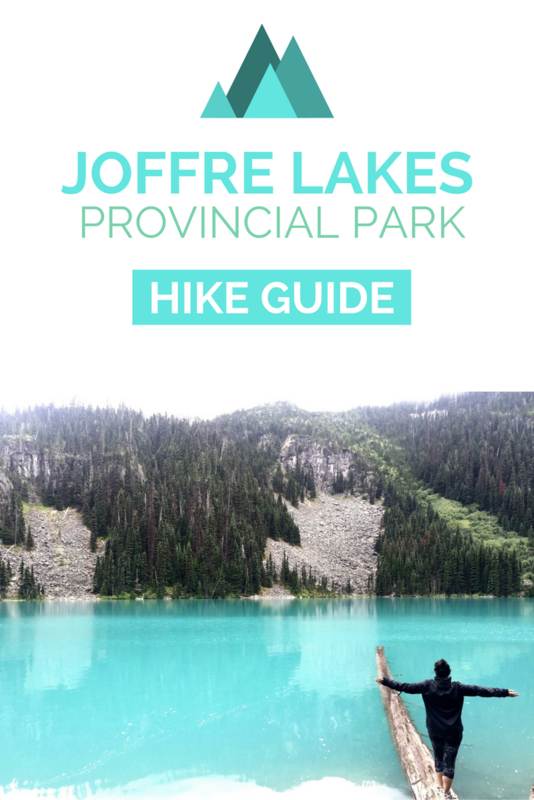 But when my sisters were planning on a hike to Joffre Lake I was starting to get serious FOMO (which is something I don't get too often). The photos don't do it justice. Just a mere 3 hours drive from Vancouver, so a day trip, it's hard to resist. The lakes are glacier fed lakes and on good days the glacier is also visible. So guess what? I took the whole YOLO concept and ran with it (so clearly I scratched the FOMO!). I don't know if it was going to be a good idea. I didn't know if I could even make it up to the middle lake, although I had said to my sisters I am not going to go all the way to Joeffre lake to see just the lower lake I would try to make it to Middle lake. We left Vancouver early and stopped at Shannon Falls and Brandy Wine falls on the way. 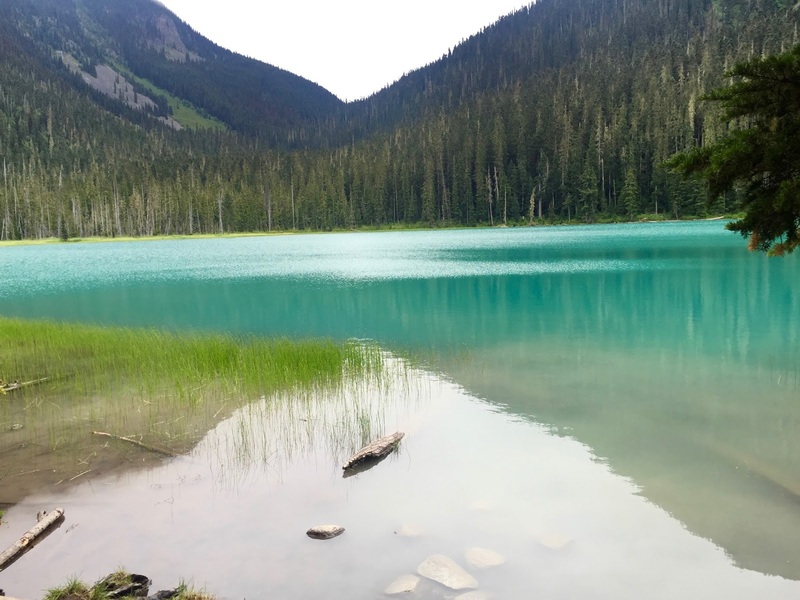 We made it to Joffre Lakes Provincial Park early afternoon. Altogether we were there for about 4-5 hours including the hiking, resting and taking many photos. The lower lake is literally a 10 minute walk from the parking lot. There is barely any elevation on this part of the hike - it is mostly flat. 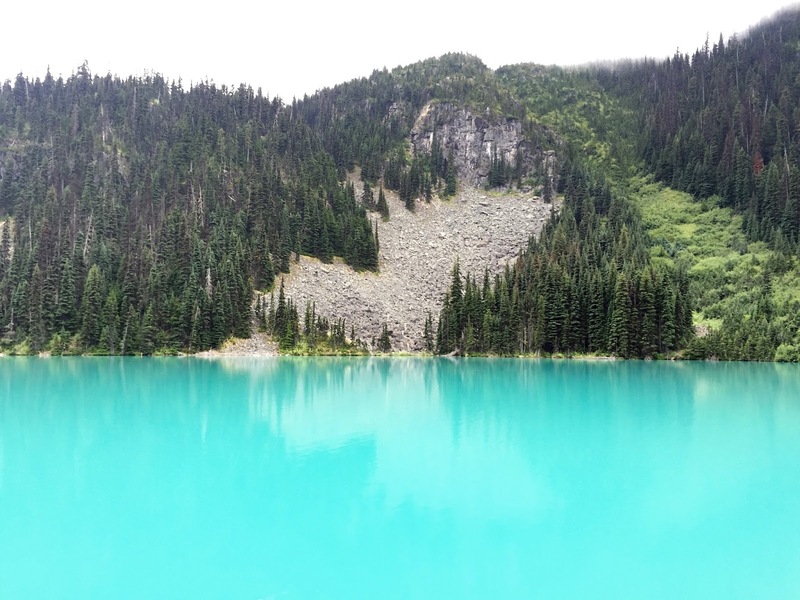 As you can see from the photo above lower lake is beautiful and also is turquoise in colour. We stood at Lower Lake for a bit and then decided to head right to Middle Lake. This is the toughest part of the hike. Most of the hike up to Middle Lake is steep and can be difficult at some parts. But there are also parts of the hike that are flat. Also be warned that there are a couple portions of the hike up to Middle lake that consists of steep stairs. I stopped every few minutes during this part of the hike. It was best for my back to take rest here and there. We sat and looked down and ahead to beautiful views. It was a great feeling to be surrounded by nature. Finally reaching Middle Lake we were more than grateful for nature and the difficult hike was worth it! The photos above do not do it justice. The water was so turquoise and beautiful it was almost as if it wasn't real. In the second photo above you can see the Matier Glacier in the background. We spent quite a lot of time here, enjoying different viewpoints of the lake and taking some photos. We rested up and then headed down. I didn't go up to Upper Lake. But just a 10 minute hike from Middle Lake is a beautiful waterfall and then a hike to Upper Lake. From what I know this hike is not supposed to be as hard or long as the hike up to Middle Lake. 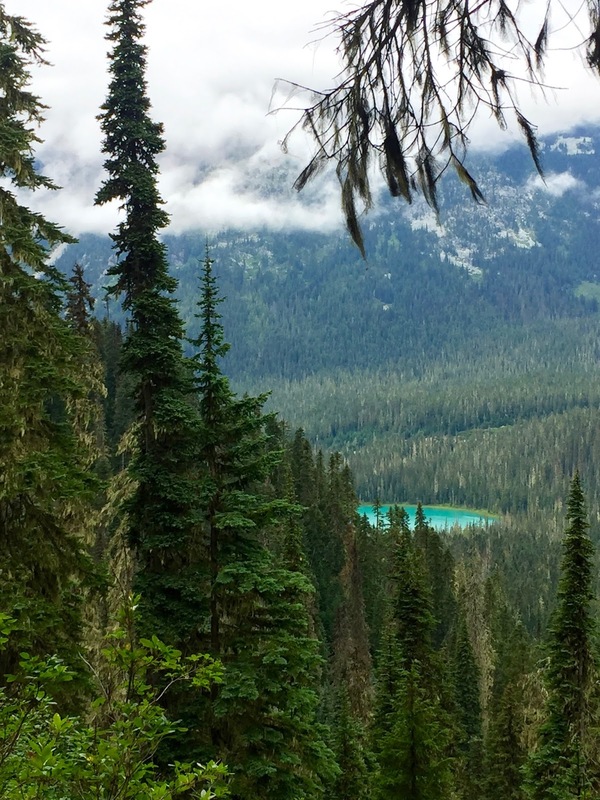 If you are ever in British Columbia and decide to go up to Whistler I would highly advise to make sure you allot some time to do this hike. It is one of the most rewarding experiences. Could this place be any prettier!?! It looks incredible!! I went up there today and there is a bathroom at middle lake. And you are not alone in the stopping. I did this frequently. Also, the waterfall is so close you can almost touch it and the trail past middle lake is very rocky and rooty? (I don't think that's a word but I'm going to roll with it). And very narrow at parts which made passing a little difficult. But I found it easier than the staircase. It was slower paced because of the rocks and roots. And absolutely beautiful. You may want to edit a little. Although to middle Joffre is the longest the Upper can be more difficult. There is very little nice path like there is to Lower and Middle. It is mostly rocks and roots.... there is a small amount of board walk after the steep part to the first outhouse at upper then to get to the campsite is a tight and rough trail. You have to climb over rocks and roots all over and it's very up and down and twisty. This is the most difficult area but not as long as Lower to Middle.